Mary Hays, age 92, of Centralia, Illinois, passed away at 12:20 P.M. on Wednesday, July 25, 2018, at Centralia Manor in Centralia, Illinois with her loving family by her side. She was born on September 27, 1925 in Glenridge, Illinois, the daughter of the late Joseph and Mary (Bersano) Milano. She married Donald S. Hays on February 6, 1944 in Irvington, Illinois and he preceded her in death on November 19, 1996. Mrs. Hays is survived by her son, Ronald Lee Hays and wife Marguerite of Centralia, Illinois; grandchildren, Kimberly Holsapple of Centralia, Illinois and Brian Hays of Salem, Illinois; great-grandchildren, Richie Campbell and wife Ashley, Tyler Campbell and wife Sunny, Klayton Norman, Amber Hays and Dalton Hays; great great-grandchildren, Mason Pickering, Shylaa Campbell, Rhett Campbell and Oaklynn Campbell and several nieces and nephews. In addition to her husband of 52 years, Mrs. Hays was preceded in death by her parents; brothers, Dominick Milano and Joseph Milano; sisters-in-law, Charlene Milano and Rosalia Milano and niece Sherry Milano. Mrs. Hays was a member and past president of the Women Disabled American Veterans. She was a life-long member of the Centralia Moose Family Center 1219. She was past president of Willow Grove PTA. She liked to sew and loved to crochet. She loved animals, especially the companionship of her cats, Sugar and Blackie. She cherished the time she spent with her family. Mrs. Hays opened the Brookside Gift Shoppe in 1965 and retired in August of 1993 after 28 years of service. Earlier in life, she worked in the hand grenade department of the defense plant during World War II. She has lived in Centralia, Illinois since 1946. A Celebration of Life Service for Mrs. Mary Hays will be held at 1:00 P.M. on Saturday, July 28, 2018 at the Moran Queen-Boggs Funeral Home in Centralia, Illinois with Mr. Glen Hulvey officiating. Interment will follow in Hillcrest Memorial Park near Centralia, Illinois. Friends are invited to visit with Mrs. Hays’ family from 11:00 A.M. until the time of services at 1:00 P.M. on Saturday, July 28, 2018 at the funeral home. Memorial contributions may be made in Mrs. Hays’ memory to the American Heart Association, American Cancer Society or DASH (No Kill Shelter) in Centralia, Illinois and will be received by the Moran Queen-Boggs Funeral Home in Centralia, Illinois. 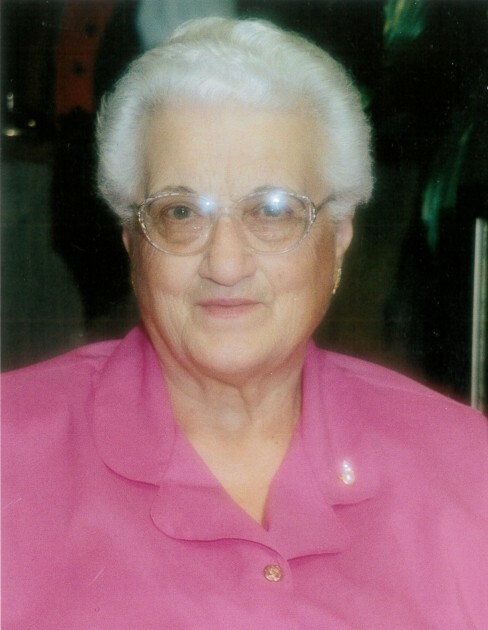 Please view the online obituary, send condolences or share memories with Mrs. Hays’ family at www.moranfuneralhome.net or on the funeral home’s Facebook page.